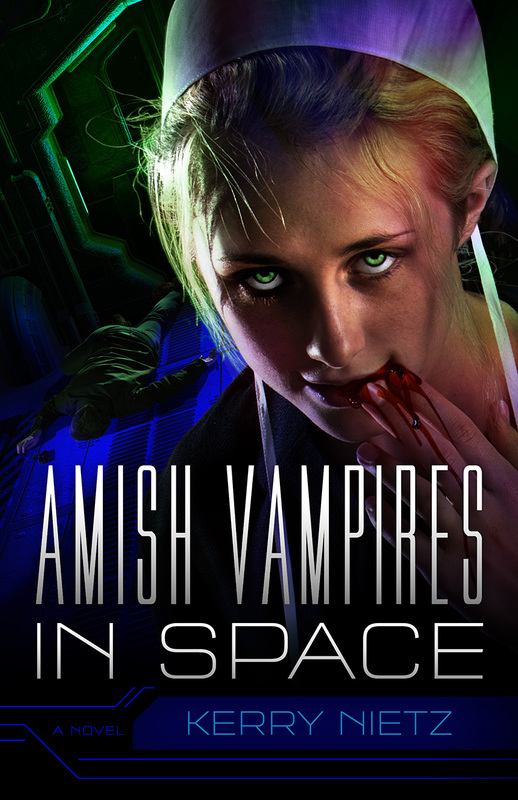 Yes, give the gift of “Amish Vampires in Space” this Christmas, but this breakout novel could help boost the entire Christian fantasy/scifi genre. 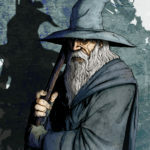 This holiday season brings a surprising blowup of attention for Christian fantasy and sci-fi and everything else related. 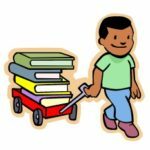 For now it seems readers — readers who are not writers writing about writing for other writers who write about writing — these readers are paying more attention to these genres. Can we say: “Merry Christmas”? “Your fandom is not in vain”? Does-what-it-says-on-the-tin title. But straight-up serious story. I’ll pose that question to Kerry Nietz, unwitting participant in this heightened attention thanks to his genre mashup Amish Vampires in Space — that novel counting as “parody” only in the concept and title and possibly cover art.1 We’ll also explore the controversies. ESB: Kerry, can Christian fantasy fans say, “Merry Christmas; your fandom is not in vain”? Kerry Nietz: Yes, I think if buzz is what the average Christian spec-fic fan wants then they’re getting that, though probably in a way they never suspected. One common misconception is that the list is primarily about design. Yes, design is one key piece of our evaluation, but this project is primarily about Christianity and marketing, about covers as a representation of the full book (including titles, concept and categorization of the book, as well as design). This is why Amish Vampires in Space topped our list. Yes, of course, by any technical specifications, it had a professional and relatively well-designed cover (and especially in contrast to some of the other books here that decidedly did not). But what drove this work to the top of our list was its mere existence, the absurdity of the way in which it baldly mashed up popular genres in a single book. My rebuttal is here, challenging the writer for baseless assumptions about how culture “should” supposedly be based in region and not “market forces.” But what say you? Kerry Nietz: First, I want to say that I couldn’t be happier with what Kirk DouPonce designed. I mean, seriously. 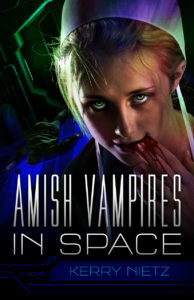 The title is Amish Vampires in Space and the cover depicts an AMISH lady, who appears to be drinking blood like a VAMPIRE and she’s on a SPACE ship. What more could we ask for from a designer? It is terrific work, and obviously helped generate interest in the book. (Unlike many artists, Kirk actually reads the books before he creates their cover.) I don’t think I shared this before, but my reveal post of the cover art was seen (according to Facebook) by nearly 13,000 people. That’s a record for anything I’ve ever posted, times a hundred. Second, I probably should thank the folks who created that “Worst of” list, because “you intended to harm me, but God intended it for good to accomplish what is now being done.” I’ve been watching Twitter since AViS first released. That list produced as many tweets as any other media event that has happened regarding AViS. And lots of sales, as well. ESB: At the risk of endzone-dancing, what media outlets have lately mentioned AViS? Kerry Nietz: The big one was the Washington Post article that highlighted both AViS and Rob Stennet’s new serialized Amish vampire book The Living and the Undead. Apparently, between the two of us, we’ve started a trend that caught the attention of journalist Bob Smietana of Religion News Service. He contacted us both for interviews. Funny thing is, I had no idea that Bob’s article could be picked up by the Post. I assumed it was just another interview for a (albeit larger) website. Then a few days later my Google alerts told me differently. “I’m in The Washington Post,” I said, staring wide-eyed at the screen. I repeated that sentence all day long. 🙂 That article was picked up by lots of other papers and sites. Generated lots of tweets. Other major events have been two mentions by Publishers Weekly (here and here), two by Library Journal (here and here), and the Dave Barry mention, of course. I’ve also set a new personal record for radio interviews. Three so far and the possibility of a national show as well. I maintain a list of interviews here. ESB: And what are the oddest sorts of assumptions about the book’s nature or purpose? Kerry Nietz: The biggest assumption on the book’s purpose is that it is meant to mock the Amish. That’s something I deal with in some detail in my “hardball” interview with Mike Duran. The typical assumptions on the book’s nature, is that it is high camp, or genuinely an Amish romance. It is neither, of course. Like all my novels, it is solidly in the science fiction realm, with a little humor and some authentic Amish folks and vampires thrown in for good measure. I touch on both those content assumptions in Mike’s interview too, and in my newest interview for A Flame in the Dark. ESB: One media mention also wrongly stated the title was being optioned for a film version. Kerry Nietz: That was a little over exuberance on the journalist’s part. There has been some movie talk, but that’s about as far as it goes. Just talk. More news as it happens. 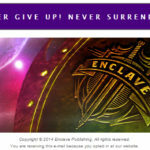 ESB: How has AViS led to shared awareness of fantasy novels by Christian authors? For example, I can confirm that it’s already led to boosted searches and hits here at SpecFaith. My personal site’s rank has gone up dramatically (nearly nine million) and the search 96% of the time is “Amish Vampires in Space”. ESB: What’s in the future for your own storytelling? Any more titles such as AViS? You may share my concern, though, about popularity leading to only more goofy-title,-serious-story novels. For example, I’d hate to leave Sandfly and his story back in that dusty land. Kerry Nietz: Goofy titles? I thought it was…what did you call it? “What it says on the tin”…? Truth in advertising? Kerry Nietz: It has been a busy year for me. Two novels, the re-release of my memoir, two curriculum guides for the DarkTrench novels. 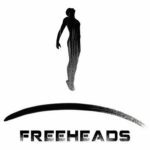 Tons of interviews and marketing events. (Right now, in fact, I’m involved in a 32-author scavenger hunt.) We also had a fairly major windstorm this summer that could keep me cutting wood forever. Really, really busy. At this point, I’m open to wherever the Lord leads. If it appears it is beneficial to do a follow up to AViS, I have ideas for where that can go. 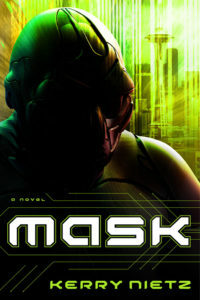 The worlds of the Mask or DarkTrench are also possibilities, as well. Or maybe something completely different. 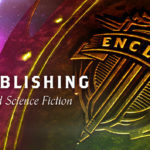 ESB: And if you could write some sci-fi about fantasy by Christians, at Marcher Lord Press and beyond, what developments might you risk to predict — or hope to help develop? Kerry Nietz: I’ve always been a bit of a team player when it comes to this. I have many author friends who write quality stories that are both fantastic and encouraging. Most do so in relative obscurity. I want to help change that. I feel that most strongly for my fellow Marcher Lord Press authors, obviously, but the sentiment extends to the entire spec-fic community. Time to climb out of the shadows! If my “goofy title/serious story” books can help with that, then I’ll feel I’ve done what I’m supposed to do. The website that posted the Amish Vampires in Space cover as being the #1 worst Christian book cover was trying to be funny but in my opinion whoever wrote the article doesn’t have much of a sense of humor. A couple captions under the covers were even offensive. Only two covers were professionally done – AViS and Christianity Lite. Has this website seen the covers of secular ebooks lately? Woowee there are some bad ones. In all fairness they should do a top worst for those. AViS is a wonderful book and I would have read it no matter what the cover art was because the author of the DarkTrench series wrote it. Thanks, Steve. That’s very kind of you. Glad you enjoyed it. And congrats on your reviewer ranking on Amazon. That’s impressive! Some get it. Some don’t. Kerry, My Amazon rank is not on perpose. I started writing book reviews to help me self learn to write betterer and over time they just added up. Not sure my righting has improoved but my speller has shure gotten betters. Kudos on all the publicity! I haven’t read it (yet), but I’ve been solidly behind the idea since I first ran across it as a joke. When the Washington Post article made the rounds on Facebook, I was totally jazzed. I think you can successfully say that your book is going viral.